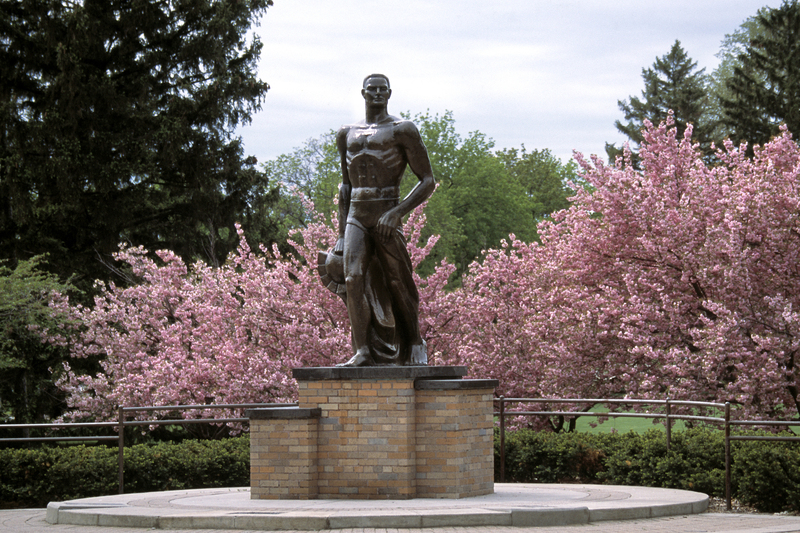 Photo: Sparty on Michigan State's campus. Click here: Bob Apisa appeared April 20 on the Drive with Jack on Lansing sports radio. The show is on 92.1 FM. Bob Apisa, the first Samoan All-American football player, was a two-time All-American fullback on the Michigan State's 1965 and 1966 national championship teams. Duffy Daugherty recruited him from Honolulu as part of his Hawaiian pipeline. Apisa's career was cut short by knee injuries, but he followed his college playing days with a long career in film in Hollywood as an actor and stunt supervisor. For more on Duffy Daugherty and his Underground Railroad, listen to Jimmy Raye's appearance UNC-TV (PBS). Raye, from Fayetteville, N.C., was the South's first black quarterback to win a national title.